From its ever-growing empire in Fuquay-Varina, Aviator Brewing Company offers FrostNipper (7.2-percent ABV), made with a combination of Perle and Willamette hops to provide an intensity that contrasts nicely with its traditional fall spices. Brewed to a slightly darker color than a typical brown ale, FrostNipper is available in kegs and cans. 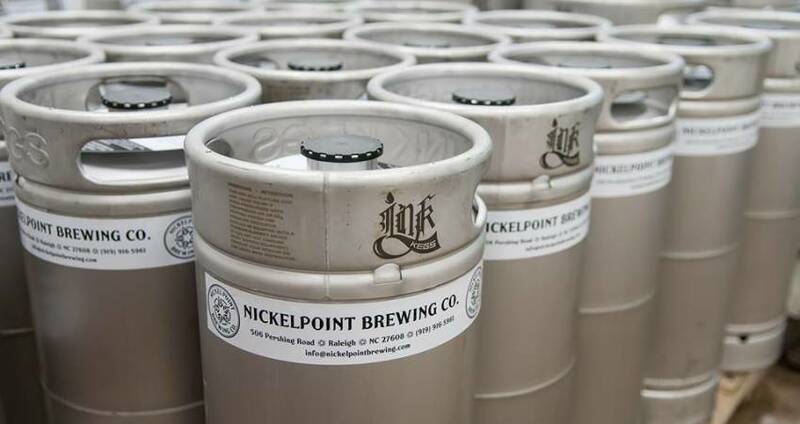 Nickelpoint Brewing Co. near Raleigh’s Five Points neighborhood produces a robust winter Doppelbock. This is a malty, dark German lager with rich complexity balanced by moderate bitterness from noble hops and hints of chocolate. First brewed in the monastery of St. Francis in Munich, dopplebock was consumed by the monks during Advent and Lent and was referred to as “liquid bread.” Check it out at the Nicklepoint taproom on Pershing Rd. At Big Boss Brewing Company, Aces & Ates (8.0-percent ABV) is a cold-weather coffee stout brewed with 10 different malts to create a complex and distinctive beer. Made with organic, fair-trade coffee specially produced for Big Boss by Larry&apos;s Coffee, this seasonal brew is only available in Nov. and Dec. This seasonal favorite is available in 12-ounce bottles and on draft at the Big Boss taphouse on Wicker Dr.
Carolina Brewing Company in Holly Springs again features its Carolina Winter Porter (5.2-percent ABV)–a dark, black ale in the style of a hearty American Porter. You’ll get roasted flavors from black and chocolate malts combined with bright bitterness and citrusy aroma from Cascade hops. In Jan., Carolina Brewing will tap its Dark Crystal India Pale Ale (7.1-percent ABV). Caramel, Carapils and Blackprinz malts combined with Nugget, Cascade and Crystal hops let the spice, herbal and fruit flavors shine through. From Lonerider Brewing Company comes Deadeye Jack (6.0-percent ABV), a seasonal porter consisting of a strong malty foundation with understated notes of roasted chocolate, subtle sweetness and low hop bitterness. Deadeye Jack, a repeat gold medal winner at the U.S. Open Beer Championships, is available by the keg and on tap, including at the Lonerider Tasting Room. Finally, Raleigh Brewing Company offers up Holiday Bash (7.4-percent ABV), a spiced winter warmer that “bashes” together the festive flavors of Thanksgiving and Christmas, including vanilla, pumpkin pie, oranges, hazelnuts, sugar cookies and chocolate. Traditionally thought of as English beers, winter warmers date back to ancient Nordic times when wassails were brewed at higher alcohol content to ward off the winter chill. Don’t miss these seasonal treats while they last!